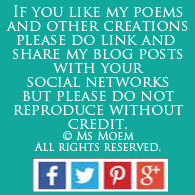 children Archives | Ms Moem | Poems. Life. Etc. When you were fresh and new. 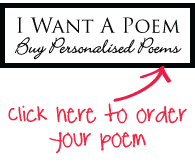 That I’d been given you. ‘Twas like we’d met before. Your baby days were gone. That way for all my days. And I’ll love you always. 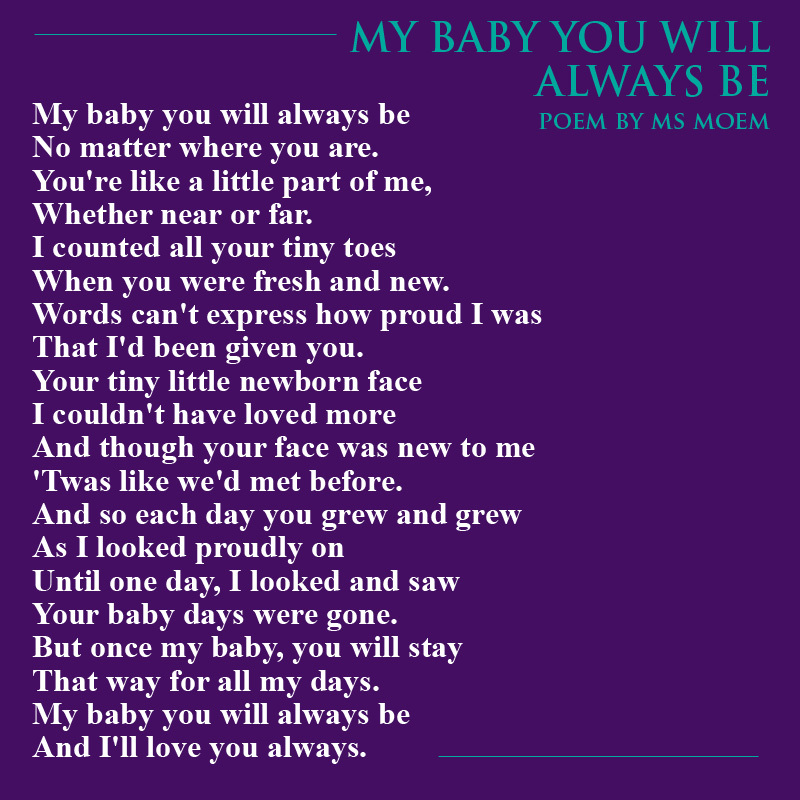 My Baby You Will Always Be is a short poem about being a mother, written by English poet Ms Moem. 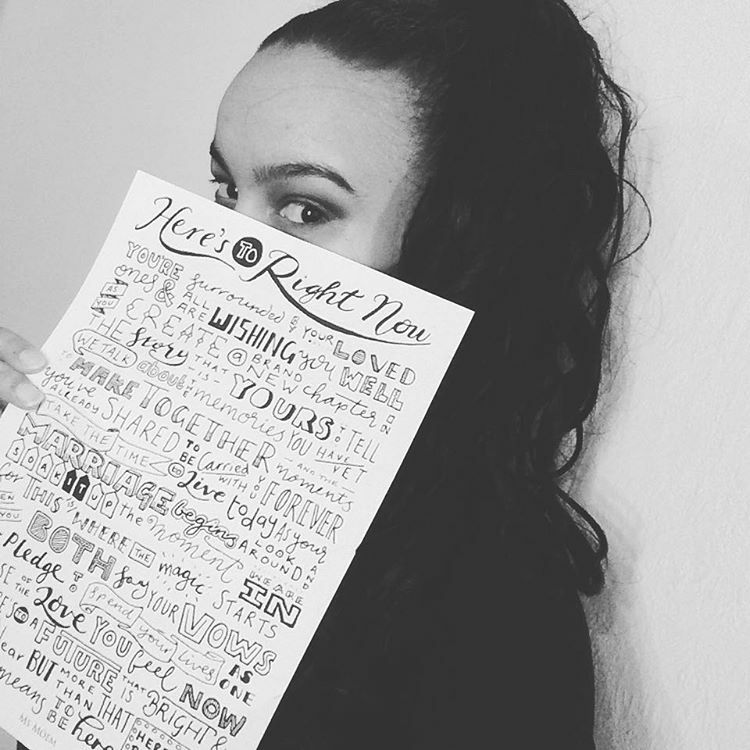 © All rights reserved. You’re their parent; their all. And that you’ll come when they call. When you haven’t brushed your hair. They just love that you are there. So it matters what you say. And a warm hand to hold. You are mum. You are dad. 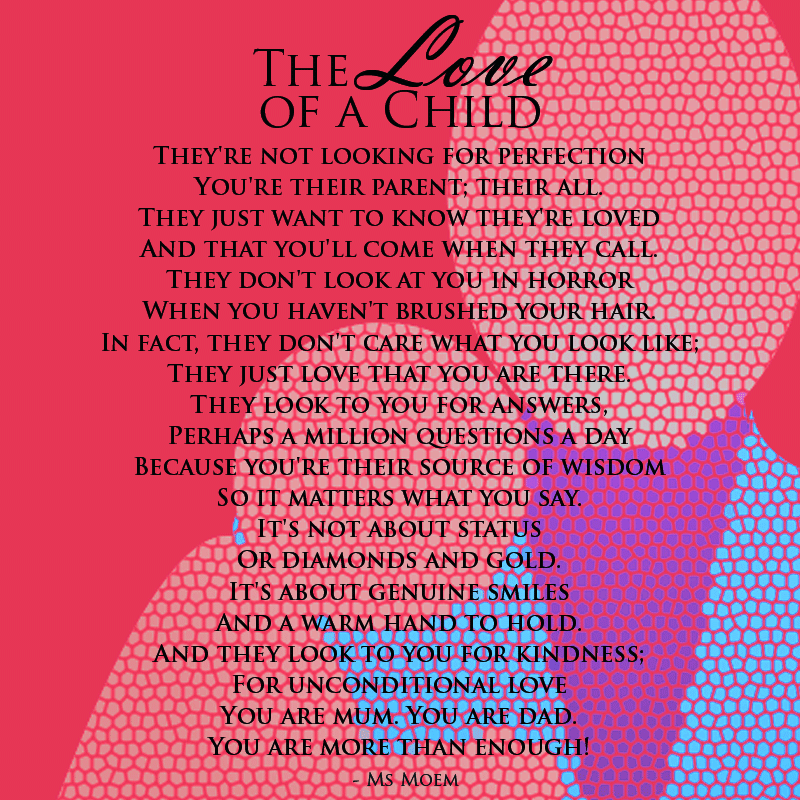 The Love Of A Child is a poem for parents, written by Ms Moem. © All rights reserved.